8 716 156 396 0 15SBi Burner Injector NG Stereomatic, type 7, 3.6mm dia. 8 716 156 397 0 15SBi Burner Injector LPG Stereomatic, type 7, 2.35mm dia. 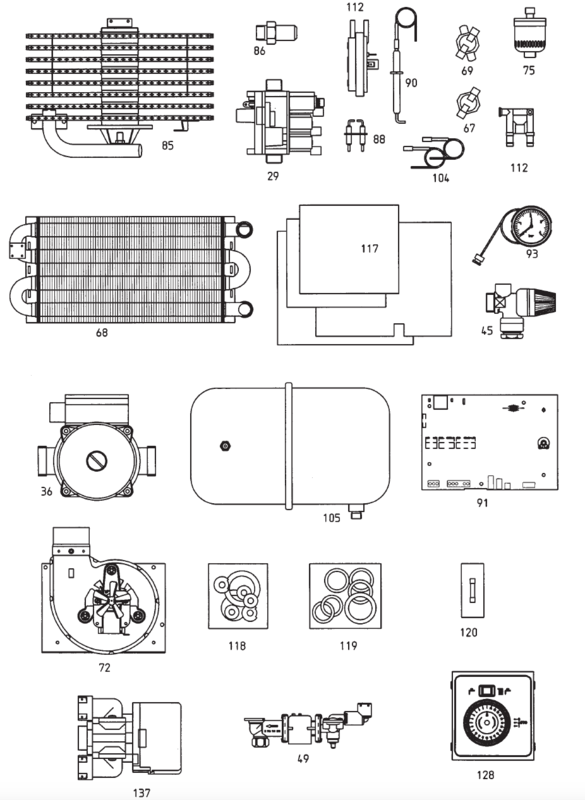 Worcester Bosch 15Bi bolier details with diagram. Check our Manual and troubleshooting guide for better understanding of boiler functionality.